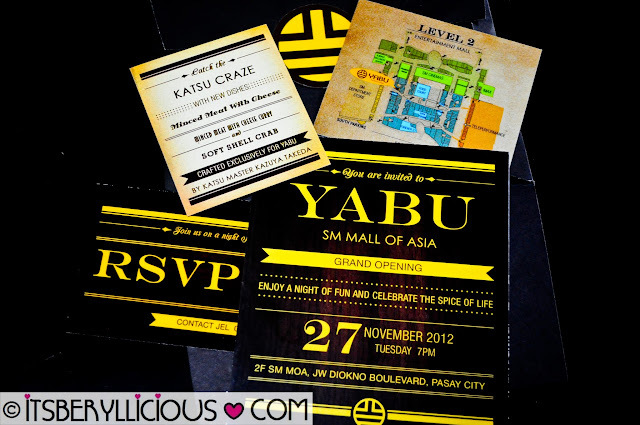 Imagine my excitement when this came in the mail earlier this month- An invite to Yabu's grand opening at their newest branch in SM Mall of Asia. I just can't wait to be one of the first few guests to try their new katsu dishes crafted exclusively by Katsu Master Kazuya Takeda. By the time I arrived at the venue, few guests were already enjoying their snacks and cocktails as they were all thrilled on what Yabu has to offer that night. 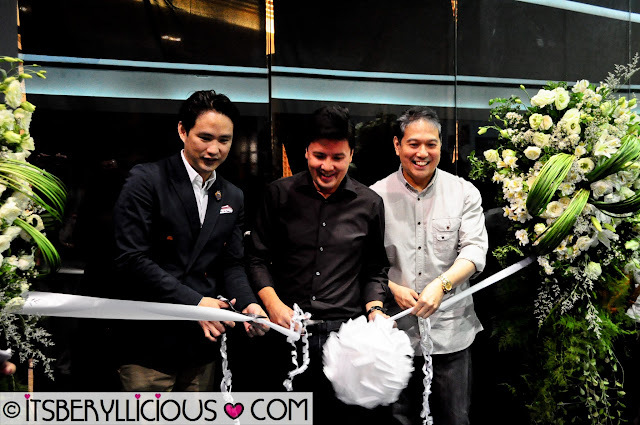 Soon enough, the ribbon cutting commenced, and the doors of Yabu Mall of Asia has finally opened to the hungry attendees. We were welcomed by all the servers as the black curtains unfold the brightly lit room behind it. 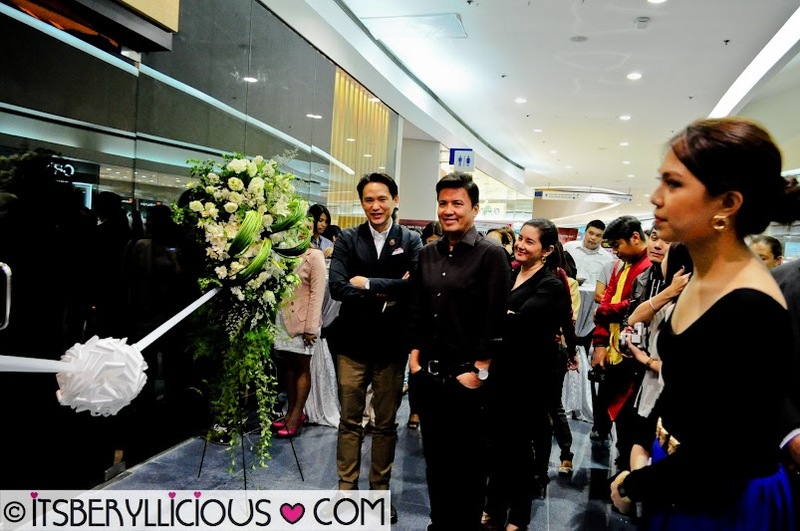 They were all smiles as they shouted a welcome greeting in Japanese with such enthusiasm in their voices. 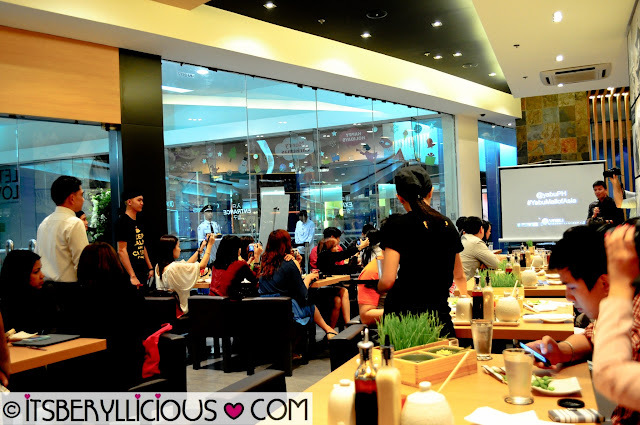 Everybody settled into their seats while the host gave a warm welcome and was then followed by Yabu founder, Mr. John Concepcion's welcoming speech. He discussed about Yabu's direction and other surprises that foodies and fans could expect in the coming days. 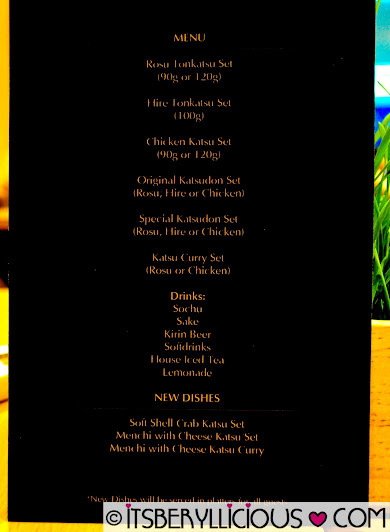 We were handed out this special menu which granted us to choose our own katsu set and drinks. Aside from our orders, each table will also be served with Yabu's new dishes- Soft Shell Crab Katsu Set, Menchi w/ Cheese Katsu Set and Menchi w/ Cheese Katsu Curry. After giving out our orders, a set of appetizers were served. 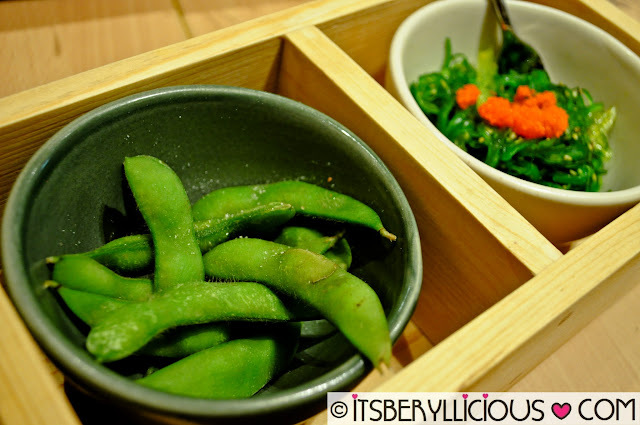 Our table had the Edamame (young green soybeans) and Wakame ( Seaweed Salad topped w/ Ebiko) while waiting for the main dishes to arrive. Menchi w/ Cheese Katsu is this cordon bleu-like dish made up of minced beef and pork, oozing with creamy cheese filling, and then finished off with the perfect panko breading. And it was not just any cheese.. it was a smooth, thick and creamy, with the perfect melted consistency kind of cheese. 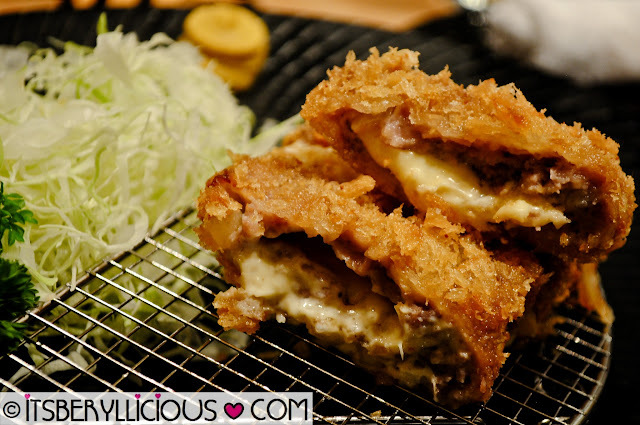 Another new dish of Yabu that we got to try was this Menchi w/ Cheese Katsu Curry. It was bathing in a rich and thick Japanese curry sauce which I've tried during may last visit. The spiciness level was milder compared to what we had last time but I loved it just the same. The dish that I've been eager to try that night was the new Soft Shell Crab Katsu. Two halves of soft shell crab covered with crunchy panko breading and served with their special ponzu-layu(chili oil) sauce. The Soft Shell Crab Katsu was perfectly crunchy in all the right places with the crab meat retaining its juiciness inside. After trying out all the new dishes, and stuffing ourselves with Yabu's unlimited organic shredded cabbage with the famous goma/sesame dressing, we moved on to our individual katsu orders. 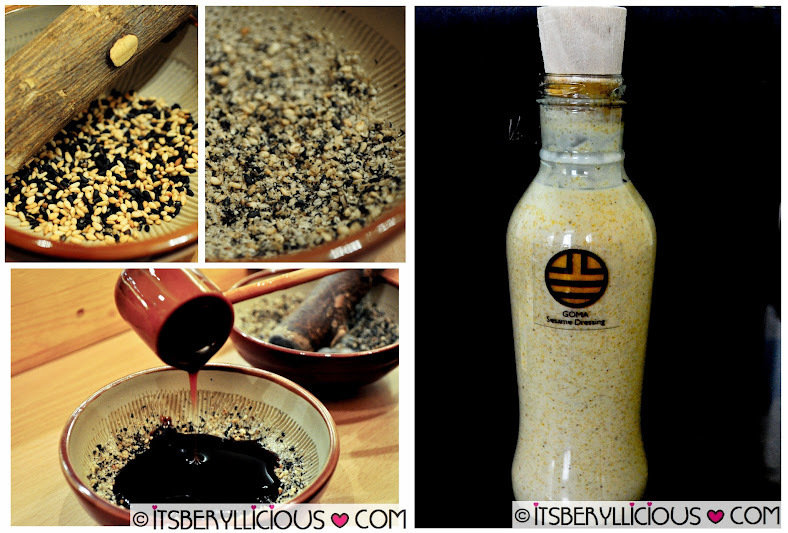 Of course, my visit to Yabu would be incomplete without doing the Yabu sauce ritual- Grind, Pour, Mix, Dip. I never get tired of enjoying the whole process and it always makes me feel like a child who learned something really great. Thank you Yabu for providing me my daily dose of your Goma Sesame Dressing. Now I could share the Goma-craze to the whole family at home. 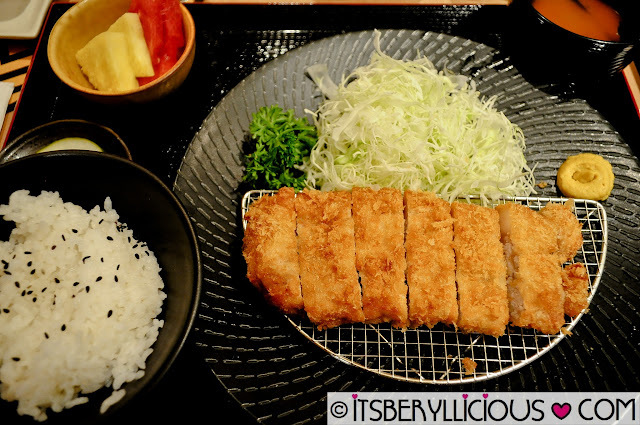 Moving on with my order of Yabu's Rosu Tonkatsu Set, I remember trying it out during my first Yabu visit in their Megamall branch. I noticed that the Rosu served here has a thicker amount of fat as compared to last time. 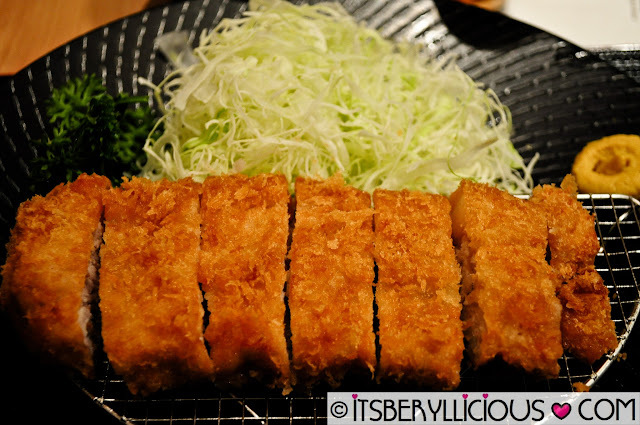 Nevertheless, the pork cutlet was still tender, meaty and juicy at the same time. 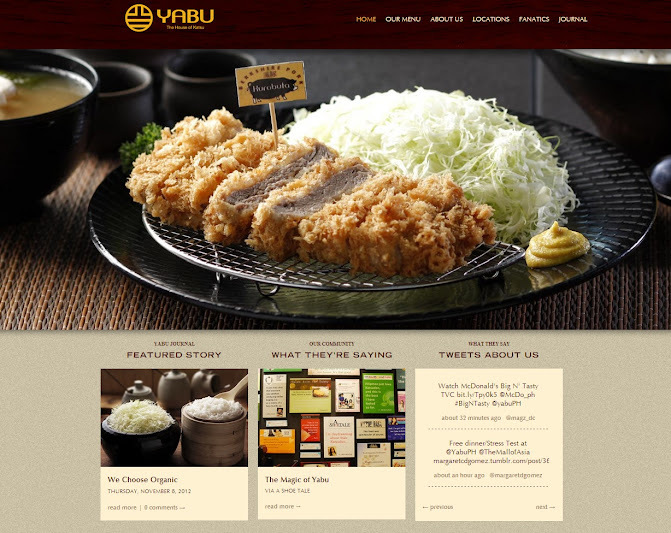 During our dinner, the new Yabu Website was also presented wherein one can view their menu, check live feeds on twitter, blog features and many more. Plus, in the coming days, Yabu will also launch their own app that I'm pretty sure many of you would be looking forward to. And... Did you know? Yabu has this promise that if your food is not served within 30 minutes, you'll get your order for FREE! 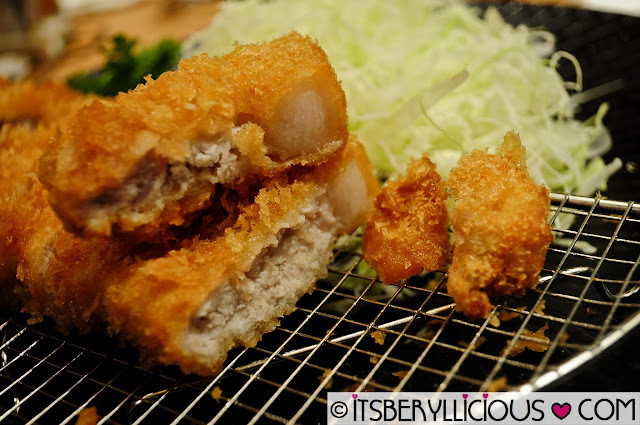 Even so, you'll still get the same excellent quality of Katsu that one could ever dream of. 'Cause if you don't, they'll have your order replaced or you get your money back. Yes, that's how confident Yabu is with their quality of food and efficient service. Now that's the ultimate YABU PROMISE! Yabu has truly made another key milestone in their history by expanding to greater market, innovating new katsu dishes, and continuing to paint smiles on our faces and tummies as well. Please follow the first (7) MANDATORY mechanics for your entry to be valid. Kindly wait patiently for Rafflecopter to load. I would like to try their Black Tiger prawns and the minced meat. We've been hearing a lot of good things about Yabu and we can't wait to try it! I would like to try the Rosu Tonkatsu. I'd like to try out the New Menchi with Cheese Katsu! soft shell crab katsu FTW! i want to try that one! I want to try Rosu Tonkatsu set. I want to try the Soft shell crab katsu! I like the Menchi with Cheese Katsu witht he Goma Sesame Dressing. I love to try the soft shell crab katsu. I would like to try the soft shell crab Katsu. Soft shell crab katsu please? Id like to try Menchi w/ Cheese Katsu. And Rosu Tonkatsu Set. And Soft shell crab katsu. I want all. Yummy! I'd like to try the Soft Shell Crab Katsu, I sooooo love seafood. 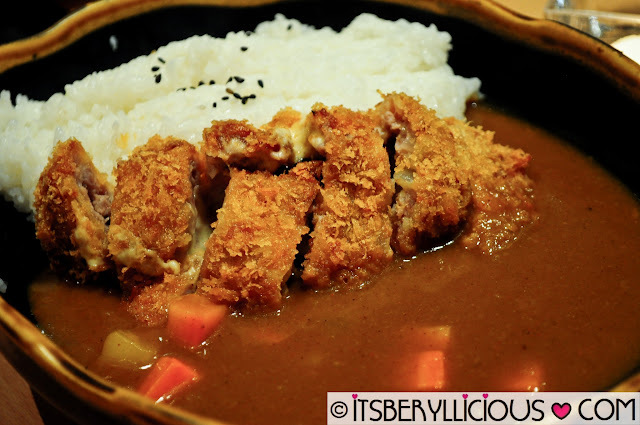 I'd love to try the Menchi w/ Cheese Katsu Curry! 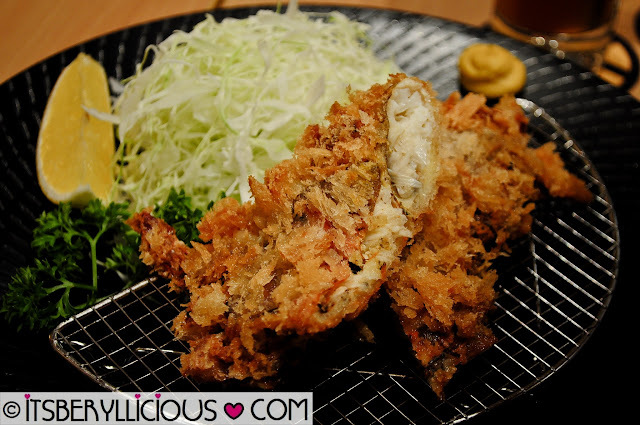 want to try try the Soft Shell Crab Katsu! 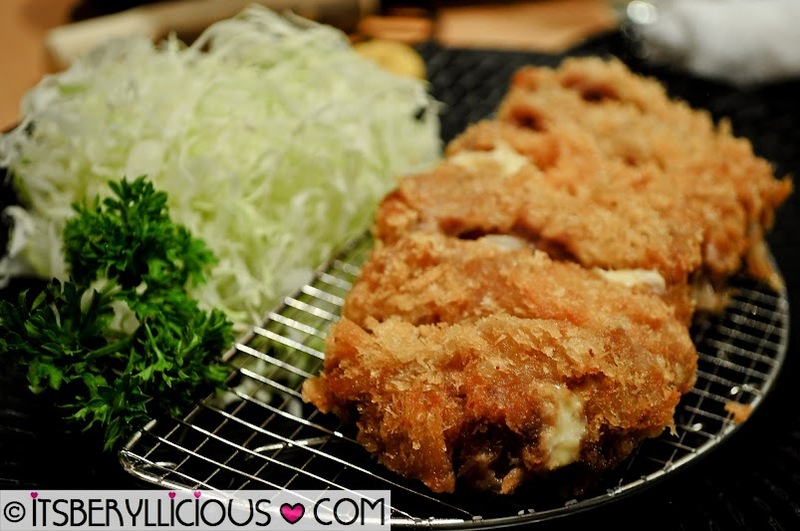 I want to try Yabu: House of Katsu's Menchi with Cheese Katsu Set! the restaurant looks modern but urban from the inside. it looks like a fun place to hang out at and grab a lunch or dinner with the gang. restaurant looks interesting and modern from the inside. it looks like a fun place to hang out and eat a snack with friends. I would like to try the Soft Shell Crab Katsu Set! I'm dying to try the new Soft Shell Crab Katsu...'coz I so so loooove seafood especially crab! YUMMY!! I want to try Menchi with cheese katsu looks like delicious!!! I want to try Menchi with cheese katsu looks delicious!!! I'd like to try the "Soft Shell Crab Katsu". 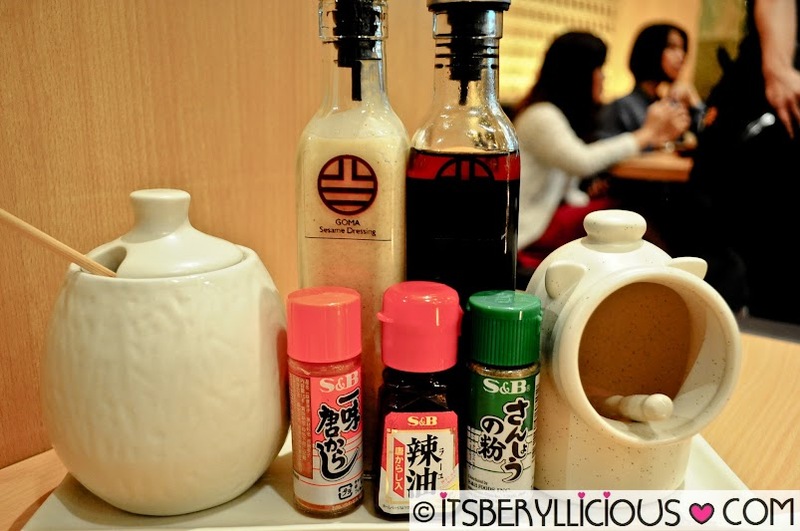 I would love to try their Soft Shell Crab Katsu! Id love to try the Menchi with cheese Katsu Curry! When I'm staring at the pictures, I'm starting to starve and crave for the foods! haha. I'd love to try the SOFT SHELL CRAB KATSU and MENCHI WITH CHESSE KATSU CURRY. YUM! YUM! YUM! I want to try Menchi with Cheese Katsu set! I want to try the Menchi with Cheese Katsu set. I wanna try Soft Shelll Crab Katsu! and menchi with cheese. The Menchi Cheese Katsu looks yummy! Soft Shell Crab Katsu For me! The Menchi Cheese Katsu. I love it!